This year was the year of the home made gifts.Maybe it was because I was in a sentimental, from my heart more than from my wallet, sort of mood… or maybe it was because I wanted to try out some fun things from Pinterest… or maybe it was a little of both. Whatever the reason, we made a lot of gifts this year! 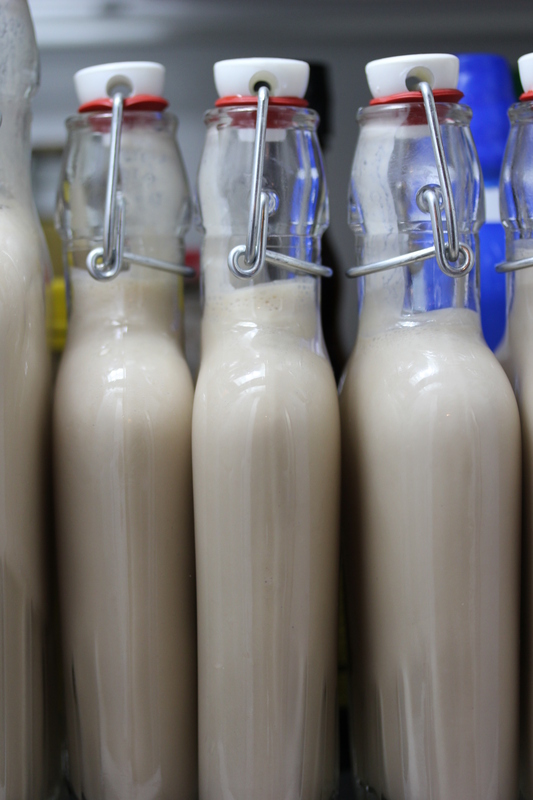 One of the things we whipped up was home made Irish Cream. I pinned a recipe for it on pinterest and it had been lingering there, longing for a try for quite some time. I enjoy both Bailey’s Irish Cream and Carolan’s Irish Cream so though it might be fun to give it a whirl. Imagine my surprise during the holiday’s when I found our household without either kind right before entertaining. GASP! The HORROR! Well, I did have all of the recipe ingredients on hand from other baking, so I whipped up a batch! The hubby, my sister and I all enjoyed sampling the recipe and tweaking it a little this way and a little that. All in all it turned out so wonderfully that we made a few batches to hand out at our large extended family gathering after Christmas. The recipe is super easy and super fast. You can make your own batch easily for your New Year’s celebration! 1 cup cream- you can use light or heavy cream. Depends on how rich you like it! Mix all ingredients in a blender at high speed until chocolate and condensed milk are incorporated… about 30 seconds. Consume 🙂 Give one of these recipes a try or simply enjoy over some ice or in your coffee. Great mixed with frangelico for a nutty Irishman… mmmmmm. OR you can bottle with tight cap and refrigerate for up to 2 months. 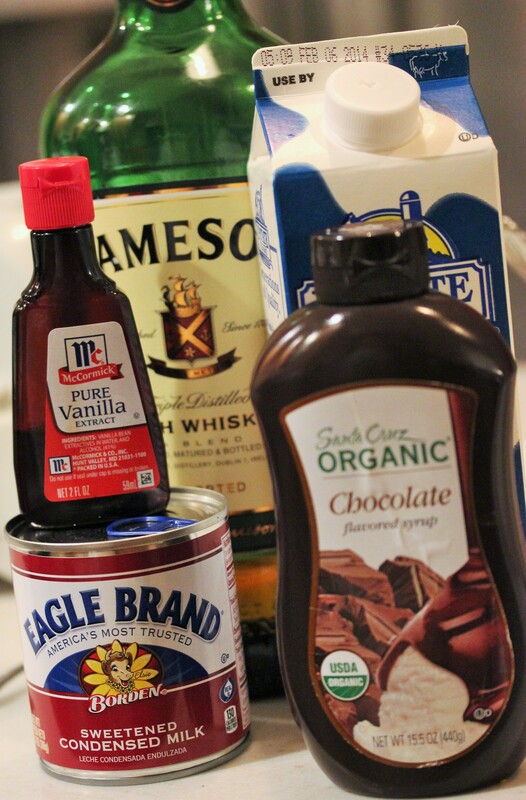 If your extract overpowers your drink, add a hint of additional cream back into the recipe, a tad at a time. While making this concoction to enjoy, we had a conversation about the difference between bourbon, scotch and whiskey. I have to admit, I am still confused and only know things by their brand names and couldn’t tell you their type. If you would like to know, you might want to check out this article. Worth the read if your inquiring mind wants to know. Hope this makes your New Years celebrations a tad more festive or makes your night by the fire a tab more warm. What fun Kim! Happy New Year! Thanks so much! It sure is yummy 🙂 Happy New Year to you as well!